Comes in a sleek black gift box packed with retail tissue paper so it's ready for gifting! Includes three 2.4 oz. 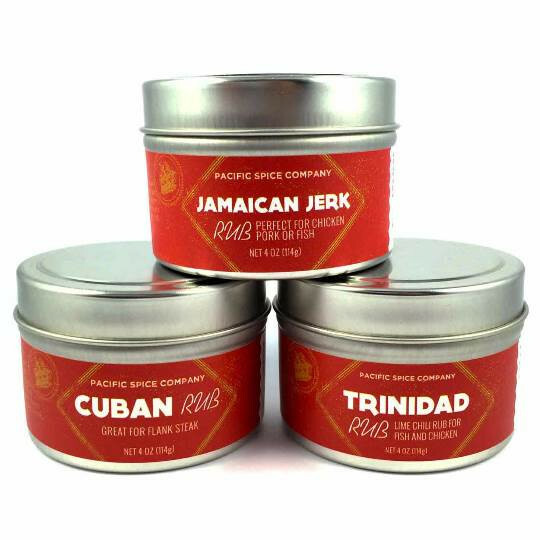 BBQ rub tins. 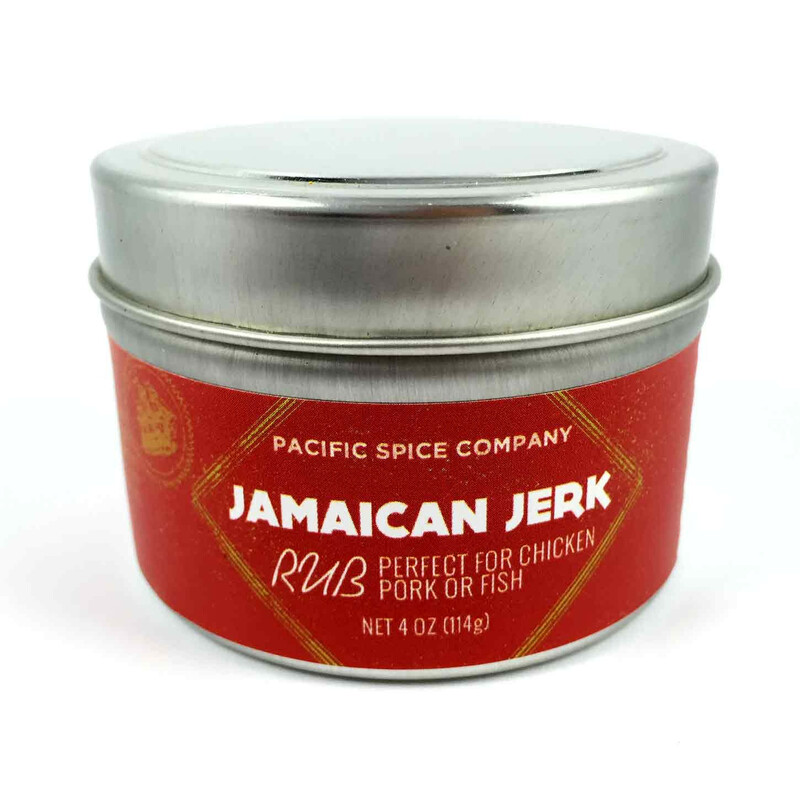 You haven't lived till you've tried Jerk chicken. Don't worry, it's not burn-your-mouth hot. Use on pork and fish too. This spice includes allspice, salt, sugar, paprika, thyme, cinnamon, clove, habanero peppers (don't worry, we took out seeds to reduce heat) and toasted garlic and onion granules. Use it on other cuts of beef you would pair with tomato like fajitas and tacos. 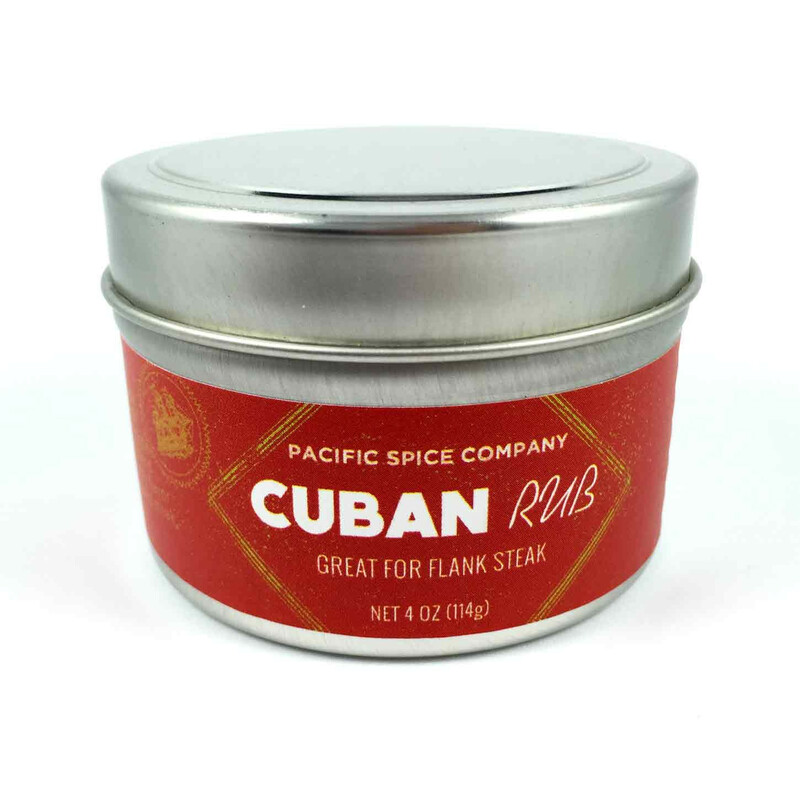 You can use it as a dry rub or mix it with a little oil to make a paste or marinade. 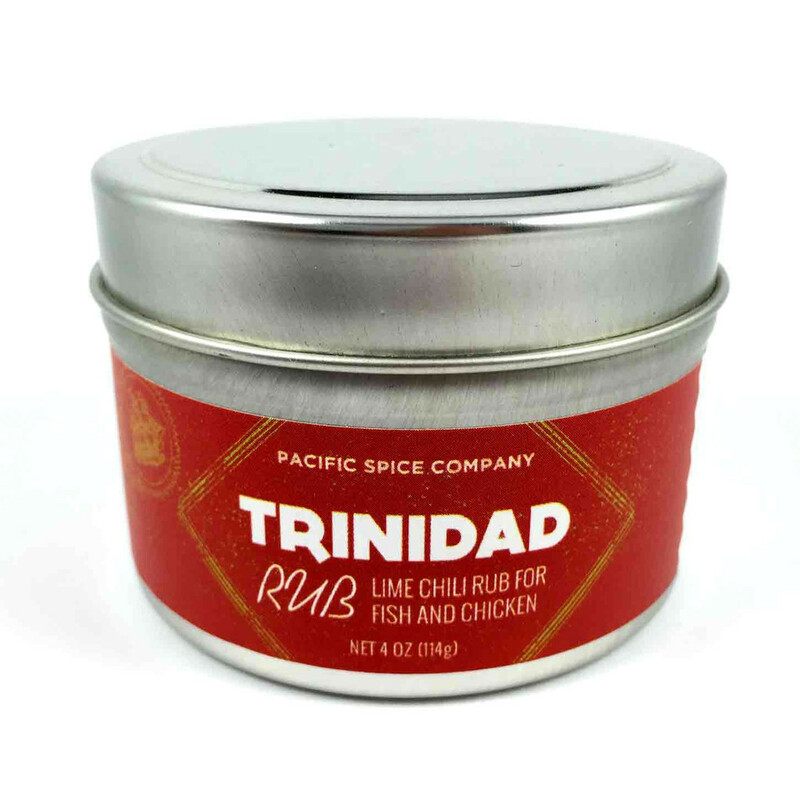 Chile and lime are a classic Trinidadian combination. This blend includes additional herbs, spices and a touch of garlic. Perfect for light and refreshing chicken or fish.